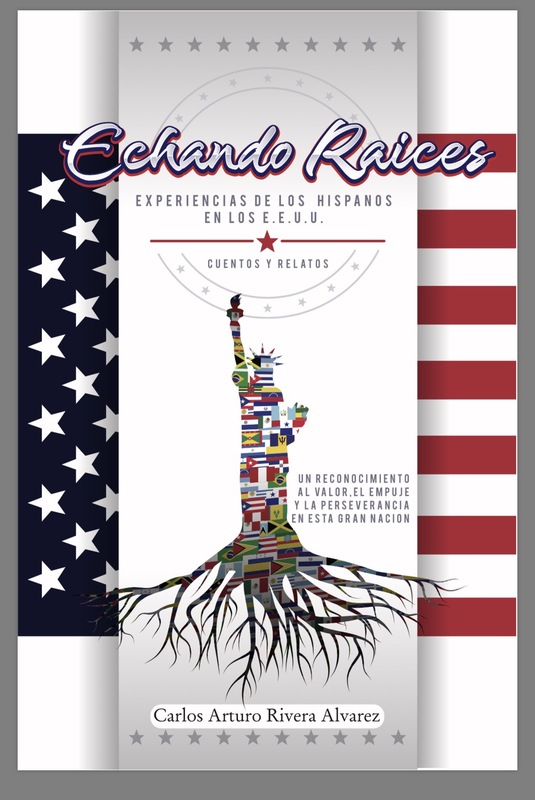 The book is called “Echando Raices” (Growing Roots). A book by Carlos Arturo Rivera, a man who has dedicated more than 3,000 hours of community service while living in the United States. River says it is something that we must all try to do to contribute to this country. Carlos Arturo Rivera is only one of many examples of the amazing immigrants who contribute to this country. As if his dedication to helping others were not enough, he decided to write this book that shares stories of those who come here for better life. He talks about attorneys cleaning houses and doctors working in factories. This book is a mix between the realities he had seen others experience and his own twist to the stories that can bring a tear or two. Most importantly, it reminds us of the millions of immigrants who come to the United States for a better life and who contribute to this nation. It makes their struggles come alive. It recognizes those who had a story before they arrived and weaves them into our society. It has been a while since I have written in Political Pasión, and I apologize. 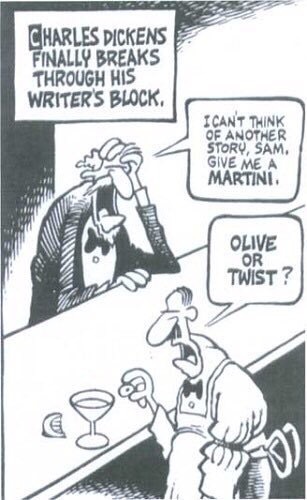 Like many of my colleagues, I went through a period of writer’s block. Possibly because I had so much to say, I had so much feeling based on the political atmosphere, that I had no words. Now I do. And I have a message for you. We need to wake up. As someone who has been in government and politics for the last fifteen years, I must admit that I have never seen what I am seeing today. I am not naive to what exists in the political world. However, I believe that technology has made us aware of how things really are. Either for personal interests or for the fact that many are tired of levels of corruption that politics has blanketed itself with, we are seeing the real face of politics. This face can not have makeover as it will continue to be ugly underneath. However, with the rights nutrients and care, it can improve. 1. Don’t believe everything you read. A journalism professor at the University of South Florida taught me something important. In order to know the truth, look at all sides of the story given and come to your own conclusions. Do not stick to one media source, but hear all sides. 2. Many politicians are looking for the interest of their parties. Look at what they say, and see what they do. We need to hold our representatives accountable. They are our voice, and we have the power to keep them in, or have them step down. 3. Strategists and political consultants have become more about the money vs. the principle. If you hire a strategist, look at their values. See if they believe in you. And in turn, remember, if you run for office…this is not about you. It is about making a difference in the lives of the people who elected you. 4. We live in beautiful nations where most have different societies and cultures. Learn from these cultures versus fearing them. Most fear is based on what you don’t know. To understand, you must engage and learn. 5. You can not win an election without listening. I find it amusing how most shots of candidates are based on them talking. It says a lot. In order to understand and represent others, we must learn to listen to all sides. There is a story, a pain, a reason for everything. 6. Never, ever assume you are going to win. 7. Do not sell your soul. When someone asks you to write a story about them, don’t. We need to place ethics before recognition, money and power. 8. Campaigns have come to a low point. When people go low, expose them. Do not go to their level. 10. Remember that the ultimate goal in politics is to work for the common good. Reach out to your fellow colleagues, because at the end, they were elected by us, the people. May this be the beginning of more insights. I hope this moves something in you, as it did in me. Are you ready for a real makeover? when I started http://www.politicalpasion.com in 2014, it was a place where I could contribute to help people understand the misconceptions that many had about Hispanics/Latinos. Recently the Pew Hispanic Center released information stating that six-in-ten Republicans and two-in-ten Democrats view Latin American immigrants’ impact on the U.S. negatively. The issue is that the anger that is felt for Latinos and other immigrants is based on a culture that many can not understand. They feel angry, and they say that anger is based out of fear, and fear is based on what we do not understand. I recently was reading a book my mentor who passed away in December had in her library collection. The book was published in 1971 and was called “The Ethnic Factor”. I found it amusing that chapter three was called: “Chicanos and Puerto Ricans: If They Vote, They Count”. Not a very different statement from the presidential election of 2016, and how many strategists are counting on their turnout. The difference is that in 1971, Latinos or how the book calls them “Spanish-Americans” were only 4.5 percent (9.2 million) of the total population. In addition to the Cuban-Americans lightly mentioned in the book. The book also made me realize how time has shown what happens when a Latin American community such as Cuban-Americans become involved in politics, contribute to campaigns and prepare their own to run for office. If only every Latino community did the same. Yet, the reason why we as Hispanics/Latinos do not count, is because many of us do not care to. Reading this book made me realize that nothing has changed in almost 50 years. We are just more, still asleep and not realizing the power we have through our vote, through taking peaceful action, through creating a movement that allows people to understand who we are as individuals of Latino/Hispanic descent.Most importantly, I believe it is time that we show our love for the country that has taken us in. It has been such an honor to see what writing and uniting has created. This blog has opened the door to meet so many valuable people. It has opened the eyes to people in government. It has also made some show their true colors. It has been a good step forward, and the step was only based on my writings. There have been times I have been asked by various candidates to write something about them on this blog favoring them, and that I would get paid for it. I never accepted it. Because I feel that this blog should be a channel for sincerity. The moment, we change this channel, the energy changes. I have come to the conclusion that there are many people like me, who have something to say. This blog should also be a channel for people to see our differences and our similarities. Most importantly, it should be a place for those who can give a piece of who are, and give it as an offering to the Statue of Liberty, as we remind others that we are all immigrants. I hope that as we open this door, we may create more understanding and more consciousness in our world. As one of my teachers said, the current political movie is now playing. We now should prepare for its outcome. Only in unity there is strength. I believe one of the topics most Latin Americans relate to is soccer. They may not take time off to go and vote, but when the World Cup happens, rest assured that you will see an increase of sick and paid leave in the Hispanic population. Yet, as I think about it more, I realize how much the two major political parties have become like soccer. I think of the blow in the last World Cup that “my soccer team” Colombia gave to Neymar, the best player of the Brazil team, who suffered from a broken vertebra when he was hit by someone from my team. Colombia had never been so close to winning the World Cup. I remember being in a place with so many Colombians and all of them shouting in joy as Neymar was on the floor filled with pain. Neymar was not a human from planet earth like all of us–Neymar was the enemy. Brazil was wrong, Colombia was right. Neymar “deserved” to be hurt. In soccer, when it comes to your team, you become so blind because you want to win, that you become a fanatic. The penalties against your team are always incorrect. You stick by their side till the end. You celebrate with them when they win, and cry with them when you lose. Democrats and Republicans have gotten to the point where many have become “soccer fanatics”. The majority are not willing to listen to the other point of view. Parties come first before the principle, where all that matters is winning the election, and special interests overtrumps the wishes of the people they represent. I have been an Independent since 2010. I used to be a Democrat. I never had the courage to sign a form that said that no matter what, I always had to support and vote for a Democrat in the elections. The man or woman could be incompetent, yet I needed to support them because they were Democrats? No, thank you. I have been offered to become a Republican and even become appointed to a Governor’s board if I decided to do so. No, thank you. No one can buy me. Because I am not a fanatic, and I also do not want to become one in the near future. I believe there a many Republicans and Democrats that are also not fanatics, overshadowed by the extremists of their party. Possible extremists because it is no longer about us, it is about power, it is about ego, and it is about winning. When this changes, our nation will improve. When we have more members of Congress trying to work with both sides, our nation will change. Yet, as Americans we tend to forget history. A history where 20 years ago, we may not have been in agreement with everything of the opposing party, but we came to a consensus for the betterment of the people. For the sake of the “American Team”. Maybe that is why I am independent, too cynical to believe that either party has all the answers, and too optimistic to not get involved in the political process. Maybe that is the reason why 45% percent of all Americans currently self identify as independents. The last time this happened was 70 years ago. 70 years ago, we were in World War II. Should I say more?